There are a bevy of home monitoring systems available these days, and the peace of mind that comes along with these technologies can’t be understated. 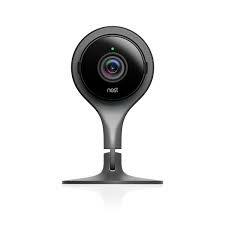 Check out the Nest home security system that gives you access to live footage straight from your living room. Whether you’re at work or on the road with Wi-Fi streaming, this cutting-edge system allows you to see what’s happening in your home (depending on where you place the camera) at any given time, not to mention the video recording option that archives footage for later review. There are also custom alerts you can apply that detect suspicious motion or unexpected noises. The video and audio quality is in high resolution, and there’s even a night-vision selection. Plus you can direct the camera in practically any position you desire especially those hard-to-spot, shadowy nooks where an intruder might seek cover. Whether you want to make sure your kids are doing their homework after getting home from school or keep an eye on your new nanny, the Nest security camera is a definite winner. You know that magical quality car vibrations have? I’m talking about the one that can charm a feisty wide-eyed youngster into a peaceful, sleeping angel in minutes. Why not bring that vibration miracle power into their bedroom for some soothing sleep? 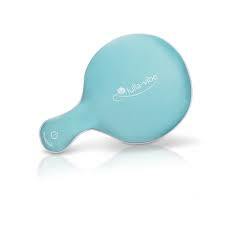 The Munchkin Lulla Vibe Vibrating mattress pad has several different settings so you can make sure the vibration is specifically customized to your little one’s liking. Plus it has a thirty minute gradual deactivation so you don’t have to worry about an abrupt shutdown startling awake any conked out patrons. This will also help you save battery so your magical pad will last forever, or at least a pretty long time. Getting your little one to relax enough to check their temperature can sometimes feel like an impossible task, especially if they’re feeling sick and miserable. 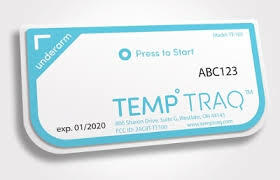 That’s where the TempTraq Thermometer comes in. This 24-hour intelligent thermometer comes in a patch that sticks on to your child’s skin and will read off recordings and send them to your phone. It allows you to track temperature changes over time without disturbing them, and it’s so thin your poor sick little tot won’t even notice it’s there. This is a gadget that makes an illness incredibly easier on both parent and child during those unavoidable times of sickness. If you’ve got little ones who are attached to their nightlight, the Boon GLO Nightlight gadget should definitely be on your radar. 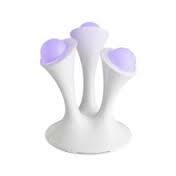 This cool nightlight utilizes colored orbs that can be turned on by your child. The orb can also be taken out of the light stand for up to 30 minutes at a time, meaning your little one can make the trek to the bathroom or to your bedroom after a bad dream and be guided by their own portable nightlight. Our kids have unprecedented access to a bevy of information on the Internet, and no doubt every parent worries about protecting their children from inappropriate websites or unnecessary information. That’s where Safe Eyes software comes in to save the day. Parents can filter what they want their kids to access and keep an eye on the websites they spend time on. It will also provide access to instant messages and social networks to ensure your children are remaining safe online. In today’s technology boom, every parent can appreciate the peace of mind that comes with knowing their children’s cyber activity. We’re in an age of connectivity, and you and your older children likely have phones to ensure you can contact them at any time and vice versa. Make sure you have all the accessories you need, including charges, wall mounts, and cases to keep your phones protected and your child’s communication channels open. Companies like Touch of Modern are a one-stop shop for all of your phone needs, making it easy for you to stay updated on your children’s whereabouts and keep your family’s expensive smartphones (and the personal information found within them) safe. Tech companies constantly find new and innovative ways to make it easier on parents and help keep children safe and happy. We hope you love these gadgets as much as we do and find one to make your life a tad easier.